Followers of Barbados Stamps will know that there have been no new stamp issues so far in 2018 and given that we are approaching the end of June that’s quite impressive. This modest issuing policy is one of the reasons that the collecting the stamps of Barbados is so high on people’s agenda. To put it in context, already in 2018 Royal Mail have issued commemorative stamps for Game of Thrones, Post and Go: Postal Heritage, Mail by Sea, Centenary of Women’s Suffrage (Votes for Women), The RAF Centenary, Reintroduced Species, Owls, The Royal Wedding, The Royal Academy of Arts and Dad’s Army, not to mention new regional and national definitives to account for rate changes. Wow! Buying that lot in all their variations of mini sheets, prestige booklets and so on you would have spent over £250 already. Next week however, post offices across Barbados will begin to sell pre paid postcards and they look rather good. 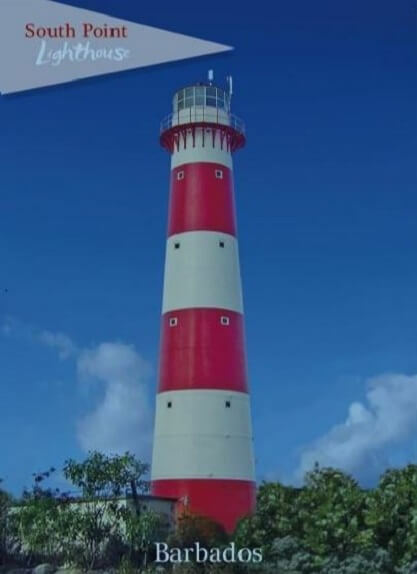 This is a new concept to Barbados and it is hoped that this can be rolled out beyond the Post Offices so they are available for sale in gift shops, hotel receptions and so on. It has the advantage of being a stock item that has instant accessibility and given the diverse range of points of sale they will be found it should help to boost sales volumes. Much like the American concept of ‘forever’ stamps, these cards are priced at a single rate of $4 a card and will be ‘forever’ in that they can be used at any time and for any destination, either on the island or anywhere in the world, for a single rate. 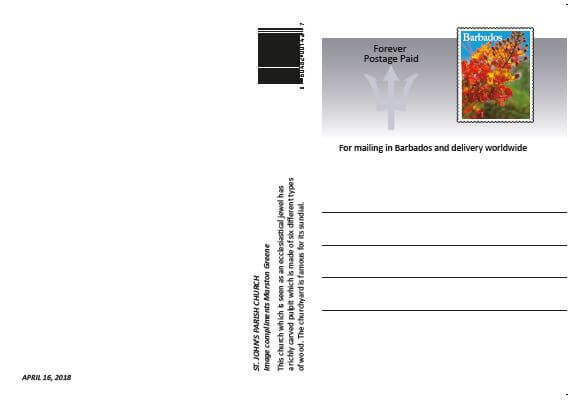 The cards have on them a single pre printed ‘stamp’ which is a new design and appears to depict a flower of some sort and features the words ‘Forever Postage Paid’ over then Barbados Trident to the left of it. 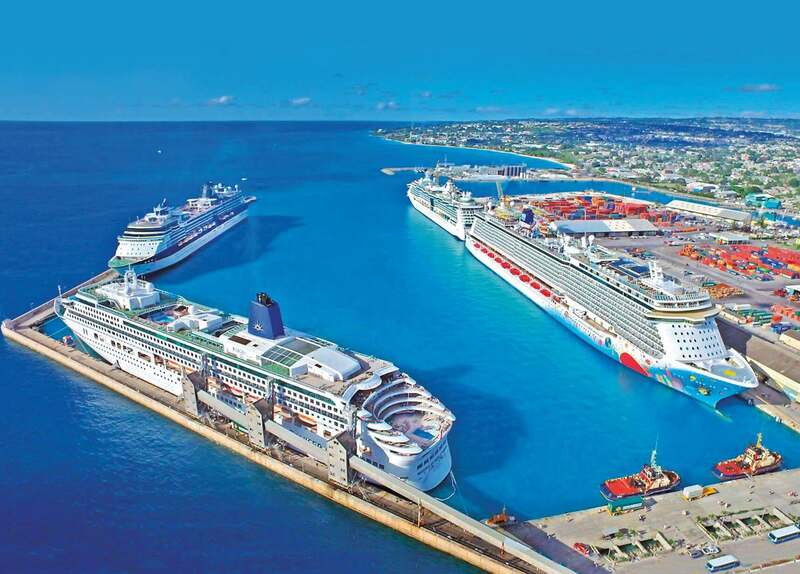 BRIDGETOWN PORT – recognised as Barbados’ main port of entry for International and Caribbean Cruise ships, is acknowledged as one of the best run ports in the Caribbean. 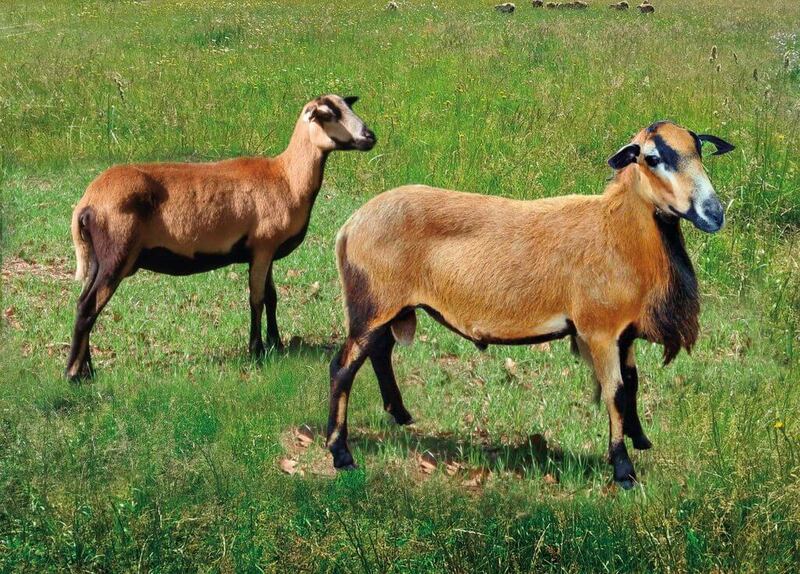 BARBADOS BLACKBELLY SHEEP – the island’s only indigenous animal, the Barbados Blackbelly Sheep is seen as a natural genetic resource. 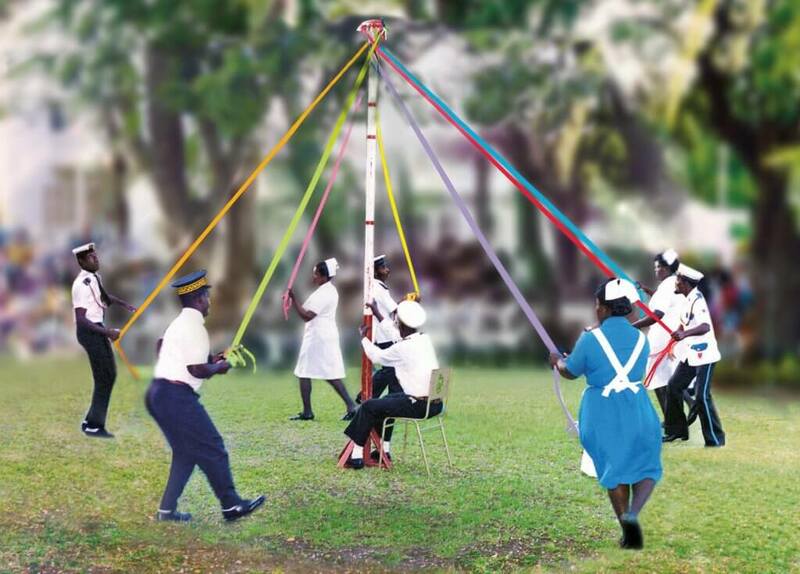 THE MAYPOLE – this dance is a signature manoeuvre performed by the Barbados Landship Association. This community organisation is an integral part of the cultural heritage of Barbados. 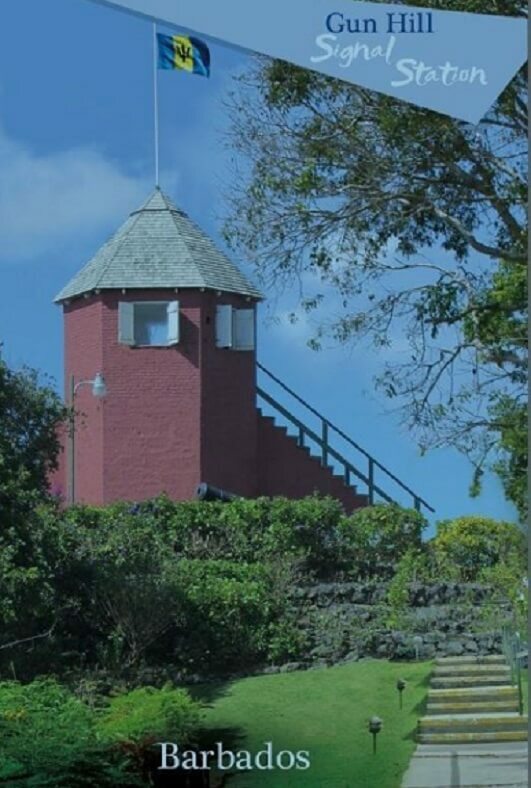 GUN HILL SIGNAL STATION – once the largest and most important military outpost in Barbados, this signal station provides a spectacular view of the St. George Valley. SOUTH POINT LIGHTHOUSE – originally named Gordon’s Lighthouse after its designer the Scottish Engineer Alexander Gordon, this lighthouse built entirely of metal was assembled in 1852. 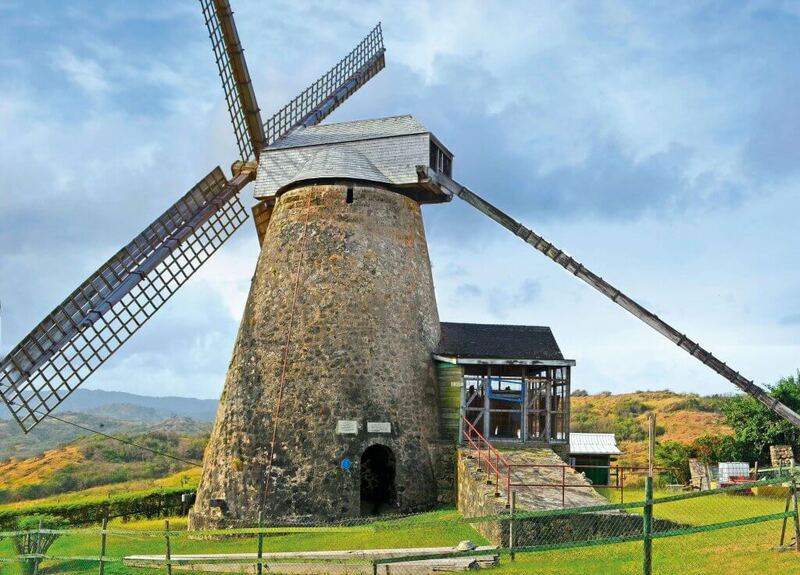 MORGAN LEWIS WINDMILL – one of only two functioning sugar windmills in the world, this unique, architectural and historical monument falls under the aegis of the Barbados National Trust. 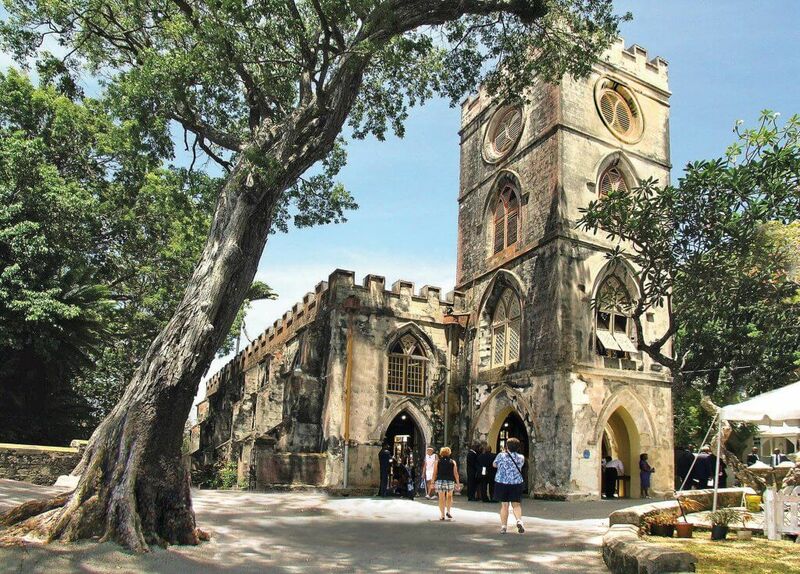 ST. JOHN’S PARISH CHURCH – this church which is seen as an ecclesiastical jewel has a richly carved pulpit which is made of six different types of wood. The churchyard is famous for its sundial. 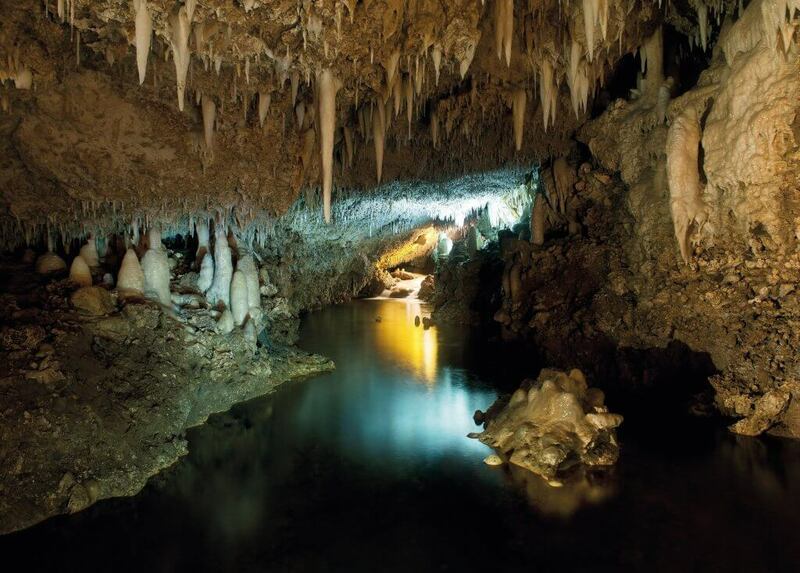 HARRISON’S CAVE – one of Barbados’ national treasures, this crystallized limestone cave features flowing streams, deep pools of crystal clear water and towering columns. 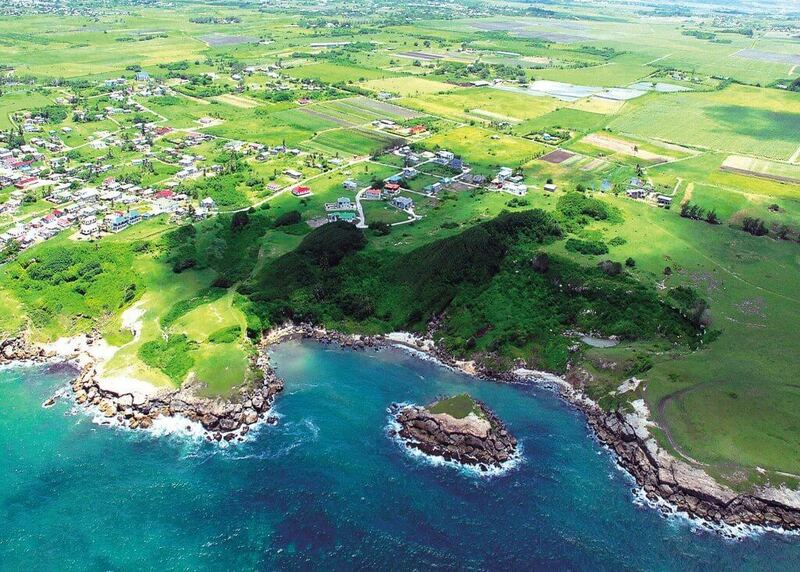 CULPEPPER ISLAND – located in the Atlantic Ocean roughly 250 feet off the South-Eastern coast of Barbados, this small uninhabited island can be reached by swimmers during low tide. 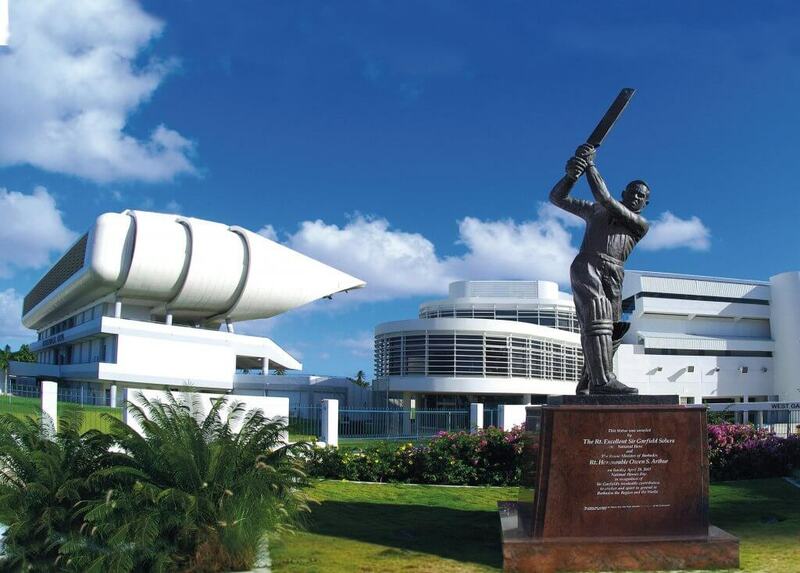 KENSINGTON OVAL – referred to as “The Mecca” of cricket, this 125 year-old world famous cricket ground was demolished and reopened in 2007 with increased seating capacity. The ground prominently displays a statute of Sir Garfield Sobers. It will be fascinating to see the kind of use these pre paid cards get as their versatility will ensure that they become ubiquitous across the island. For collectors there is a new challenge. How about getting a card from every post office on the island so you get every postmark? How about the same postmark on all one type of card? How about the postmark to correspond with the location, so St John’s church with a St John’s postmark? The possibilities are endless and I’m sure that the more imaginative amongst you will some up with some wonderful ideas for collecting and display. Meanwhile I’m eagerly awaiting their arrival here in the UK and as soon as I have copies I will post up the images on another post.